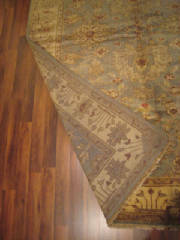 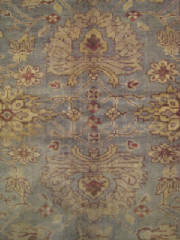 Oushak Indian style Rug 6' x 8'8"
Significant change in color and sheen according to nap--variety in one rug! 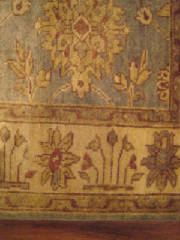 Gray background with gold, rust, green and red. 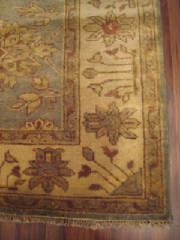 Handmade in India utilizing ancient Oushak geometric floral designs. 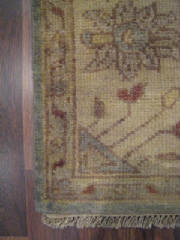 Handwoven from wool on cotton. 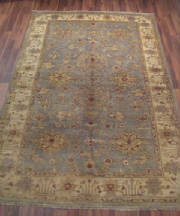 Free shipping in the U.S. from Pasha Rugs.